It is a distinct pleasure for me to invite you to join the Rhinoplasty Istanbul Workshop which will be held in Mercure Altunizade Hotel-İstanbul on April 10-11, 2015. 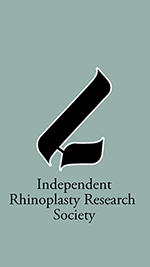 Our main purpose in this Workshop is, to discuss the problems in rhinoplasty with latest techniques, opinions and approaches; and to exchange ideas with different perspectives. As the capital of Roman, Byzantine and Ottoman; Istanbul, not only encompasses two continents but civilizations, culture and history of many centuries. We look forward welcoming you with a very updated scientific program in rhinoplasty surgery as well as aesthetic surgery.